Extoke is a free and decentralized exchange that has been designed to fill an existing niche in the crypto trading sector. The aim is to eradicate fees, which will benefit both the developers and traders. Decentralized exchanges are many times more secure than centralized exchanges. With DEx, you will be in charge of your funds. They are not is some admin account waiting to be hacked by some devious hacker. To ensure that DEX offers great security, it has been secured by the XTO smart contract. The XTO smart contract ensures the safe and instant carrying out of trades at zero fees. Extoke does not earn a commission from trade and the funds you own are always in your wallet. Why A Fee Free Decentralized Crypto Exchange? Decentralized exchanges eliminate the need for third-party services to hold funds in a central system. Trading is done on a peer-to-peer basis automatically without the need for trading fees. Besides that, users are always in control of their funds. This is in contrast to a central exchange where if you deposit funds, they become funds of the exchange. Since there are no central servers to hack, that means there will not be any server downtime or the likelihood of a large-scale attack. Decentralized exchanges are just apparati upon which users can exchange. On central exchanges, they operate in a similar manner to banks where they hold custody over you funds with little oversight and the real threat of a hack. The biggest benefit that traders get is that they do not pay any fees to use the exchange. Thus, they do not have to worry about losses due to the fees. As a result, they can engage in numerous short-term trading strategies without pesky fees being a hindrance. Another benefit is that there is support offered 24/7 for ExToke traders. This will ensure the trading experience is as smooth as possible. Marketing each token launch will be announced via multiple social media channels and mobile notifications. To achieve this, the project will utilize the ExToke Mobile Trading App. All the projects will be listed on the exchange’s website and on social medium to ensure a wide reach. When most of the websites are running cryptocurrency exchange service with high exchange fee,Insecure transection with the presence of third person and poor customer support, At the same time ExToke comes to solve all of these issues. ExToke will give free exchange of cryptocurrencies, secure transection and better quality of 24/7 customer support. ExToke is a new fee free Decentralized Ethereum ERC20 Token Exchange website. There is no fees on exchanging cryptocurrencies for buyers or for sellers. ExToke will be working to solve all the issues of centralized exchange industries and will be working for a decentralized exchange to make a revolutionary change. Extoke will make the DEX industry more strengthen and more secure by providing an instant, trustless, secure token exchange process via it’s XTO smart contract. ExToke is working to fill the gap in the cryptocurrency trading industry and to remove fees from the equation to benefit both traders and developers. 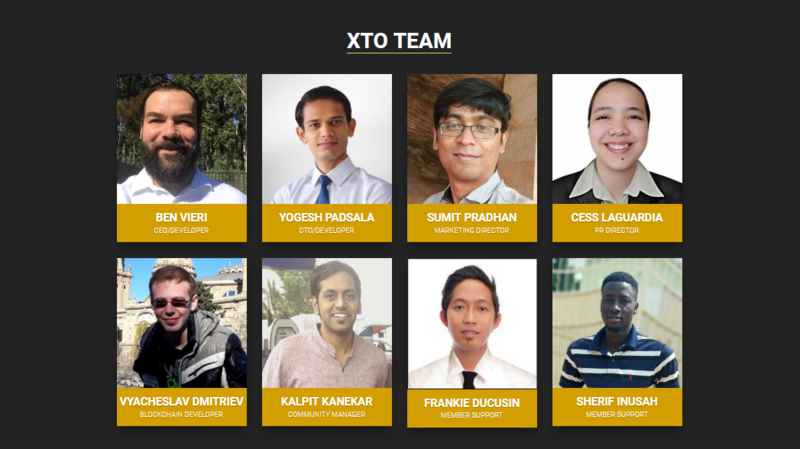 After the token sale ends, the XTO token will be added to major exchanges. To find out more information about ExToke or XTO tokens, visit the following link. The dedicated ExToke support team is always here to help.